If there are two players that defined the end of StarCraft: Brood War’s decade-long dominance of eSports in South Korea, it was Flash and Jaedong. Lee ‘Jaedong’ Jae Dong for being an absolutely extraordinary Zerg player who, by rights, should have been one of the best of all time and the best of his era. Lee ‘Flash’ Young Ho for being better and, arguably, the greatest player to ever touch a mouse and keyboard. 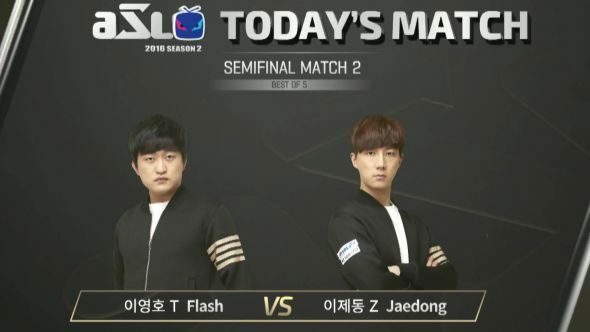 Now they’re facing off one more time in the ASL Season 2 semi-finals, and it’s worth catching if you’ve any love of eSports at all. Try some of these strategy games and despair that you’re not as good as these two. It will also be over on YouTube if you prefer. Casters are, as you’d expect, Nick ‘Tasteless’ Plott and Dan ‘Artosis’ Stemkoski. The match-up comes after a month and a half’s worth of tournament, including two group stages to whittle down to a round of eight, then a batch of best of fives to get us to here. Both Flash and Jaedong defeated strong Protoss players in the RO8 to get to the semifinal, Guemchi and Storm falling respectively. In the Grand Final waits Sea, a very popular Terran player who defeated BeSt (another great Protoss) in the other semi-final at the weekend, the match goes all five games. That’s due to be broadcast on Sunday, January 22 at 12am PST / 8am GMT if you want to see how the story ends. Further details in Blizzard’s official preview while Liquipedia has a full run-down of the ASL so far.